The Infanta (a title given to daughters of the Spanish monarch) incited controversy from a very young age, and consistently caused a furor until the day of her death. The youngest daughter of Queen Isabella II of Spain, Eulalia spent much of her childhood exiled with her family in France. When her brother was restored to the throne as King Alfonso XII, the young infanta said good-bye to her convent school and resumed her rank as Spanish royalty. However, according to one volume of Eulalia’s memoirs, this abrupt change in position was the root of her cynicism towards social status, and she grew determined to undermine the snobbery and strictures of exalted rank. She dutifully married a cousin, Infante Antonio de Orleans y Borbón, at 22, but after bearing two sons, Eulalia set up her own household in Paris and Madrid, and often visited England. The year 1893 was the first inkling that the Infanta Eulalia of Spain was her own woman and cared naught for what others might think. She made plans to visit the United States for the World’s Fair in Chicago, and the Windy City’s high society brimmed with pride and delight, crowing at this coup over New York’s “400”. American newspapers were all agog over Eulalia, and city officials in New York and Chicago drew up a list of official itineraries for the Infanta, and society hostesses rubbed their hands with glee over the lavish dinners and entertainments planned for this alleged direct descendant of Christopher Columbus. Eulalia shocked everyone by smoking, she attended a Roman Catholic church in a poor parish rather than have mass in a luxurious cathedral, and even snubbed a social event to eat sausages at the fair like a regular attendee. She later courted more controversy when she tried to divorce her husband, and when she became the official go-between for wealthy, social-climbing Americans and European noble families (the grateful Americans of course showered Eulalia with automobiles or the loaning of yachts). Though we can easily recall the cinema’s pioneering actresses, history neglects the women who managed a successful career behind the camera. 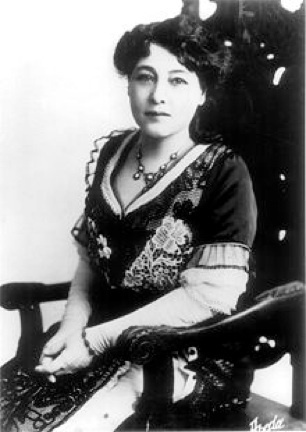 Alice Guy-Blaché is one of those unsung pioneers. Born in 1873 to a bookstore mogul and his wife, Alice’s upbringing was typical of an upper-middle-class Frenchwoman. Her life changed drastically after the deaths of her father and brother, and she, like many financially insecure women of the late 19th century, was no doubt forced to earn her living. 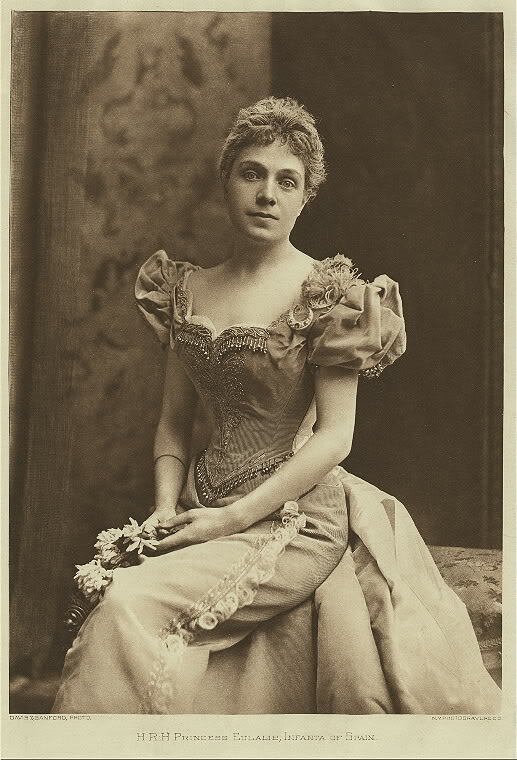 In 1894 she accepted a position as secretary with Léon Gaumont at a still-photography company. This business soon went under, but Gaumont, bought the inventory and established one of France’s first motion-picture companies. Alice followed Gaumont to his newly-formed L. Gaumont et Cie and rather than remain a mere secretary, she became his head of production, directing, producing, writing and/or overseeing the company’s films and reelers between the years 1896 and 1906. 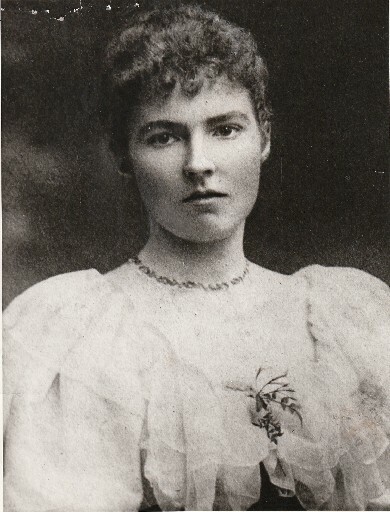 In 1907, Alice married Herbert Blaché, a British film director, producer, and screenwriter who shared her love for the cinema. Blaché was appointed Gaumont’s operations in the United States, and after a few years working under Gaumont, the Blachés decided to strike out on their own, partnering with George A. Magie in 1910 to The Solax Company. The studio, considered the largest pre-Hollywood studio in America, was located in Flushing, Queens, and with her husband taking on duties as production manager and cinematographer, Alice was free to work as Solax’s artistic director, and she directed nearly 100 films between 1910 and 1920.